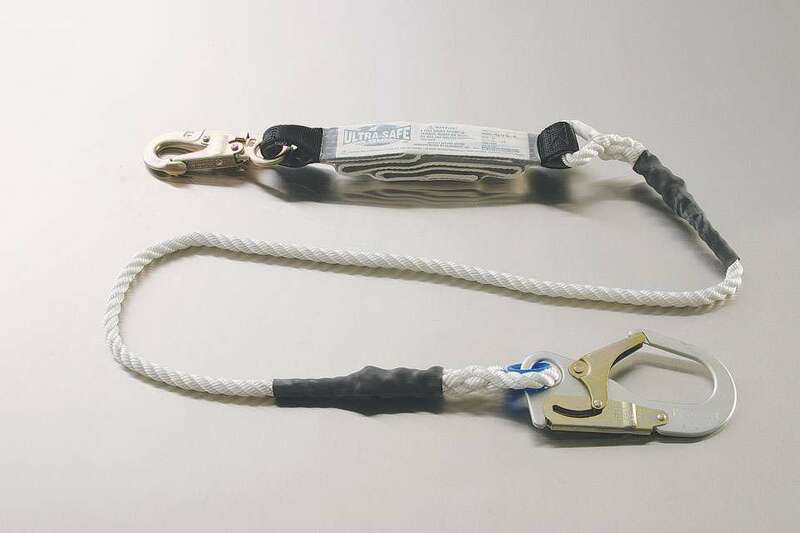 Nylon rope lanyard with double locking snap each end. 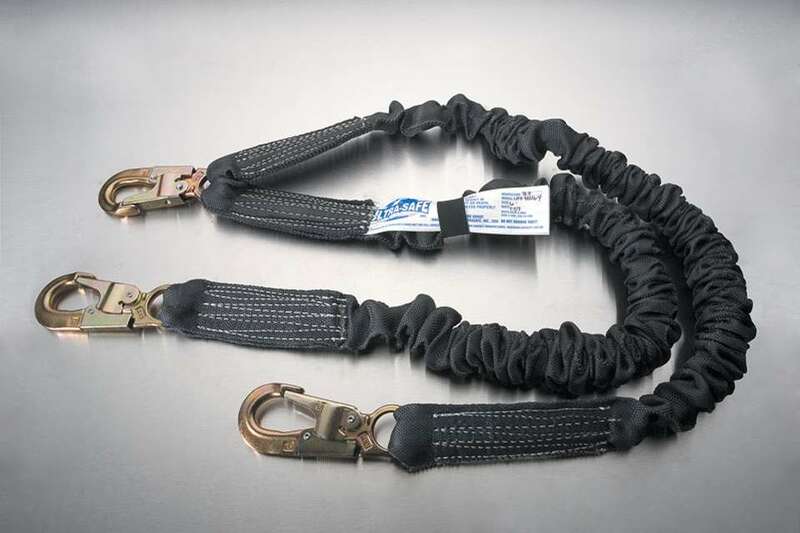 Nylon rope lanyard with double locking snap each end and shockabsorbing pack one end. 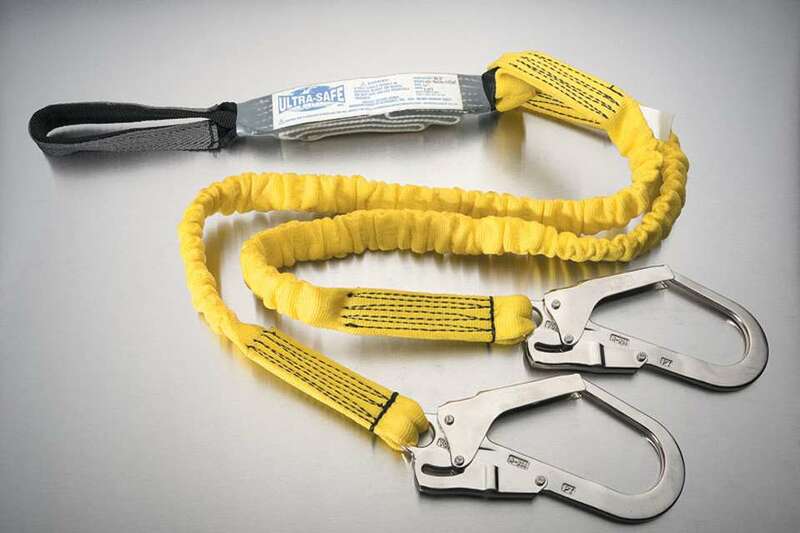 Nylon rope lanyard with double locking snap, rebar hook and shock-absorbing pack one end. 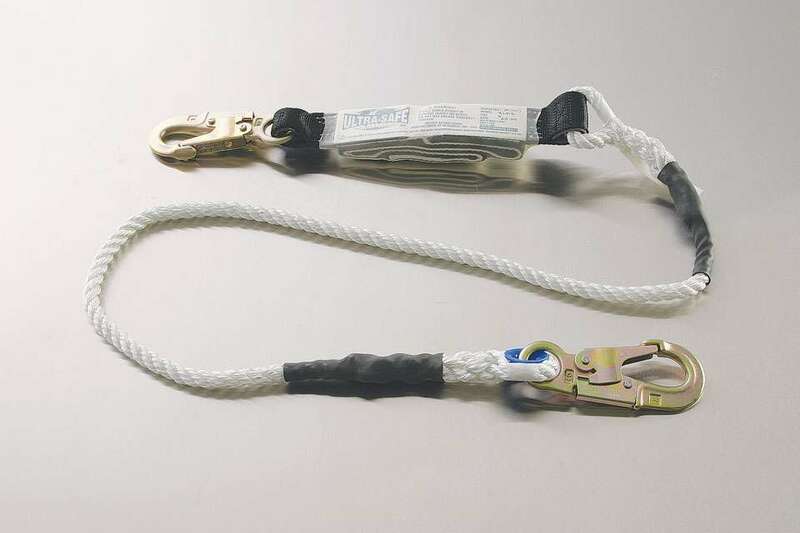 Cable lanyard. 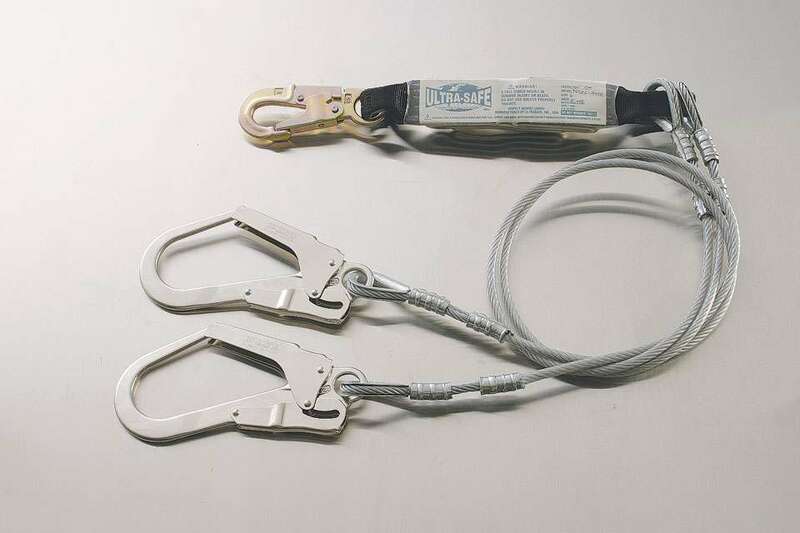 Galvanized cable with PVC coating. 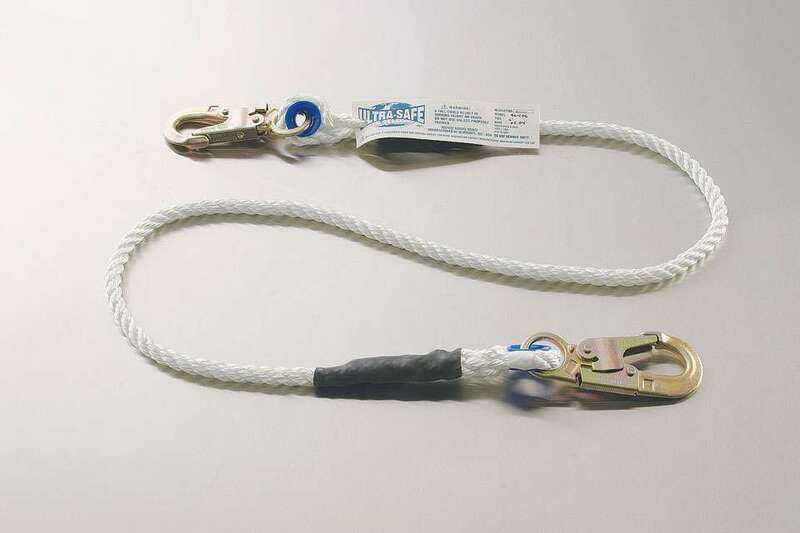 Double-locking snaps each end. 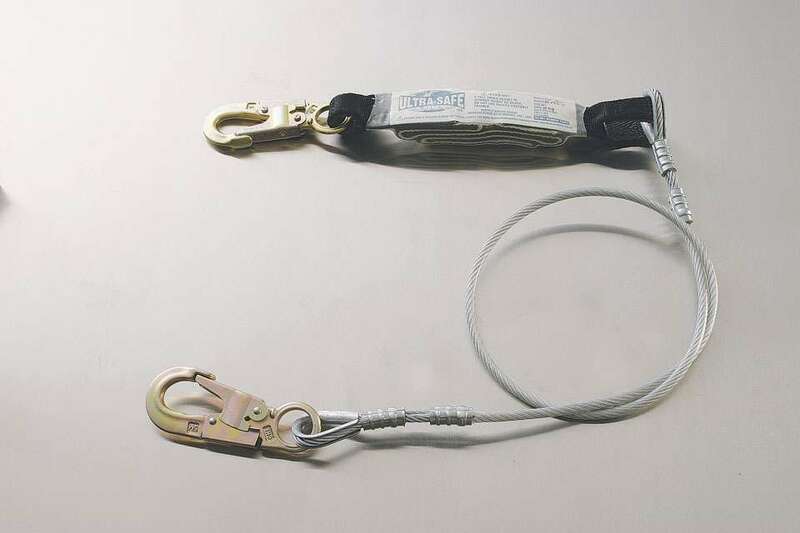 Cable lanyard. 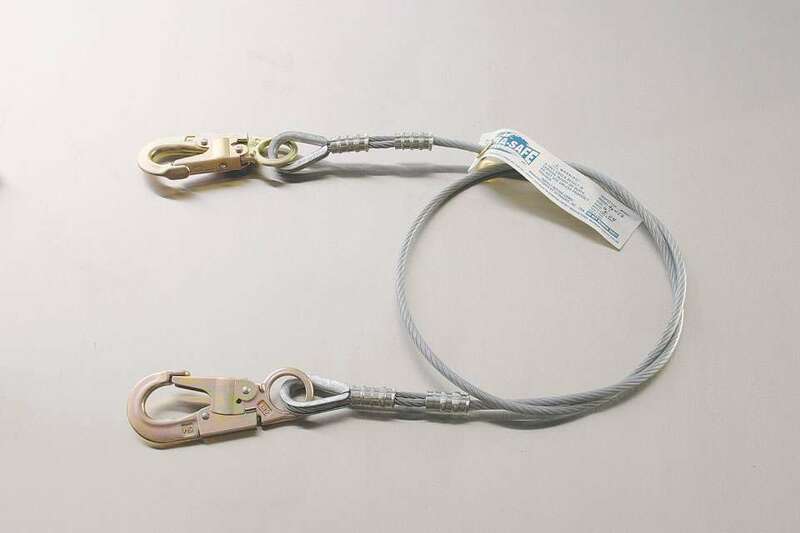 Galvanized cable with PVC coating. 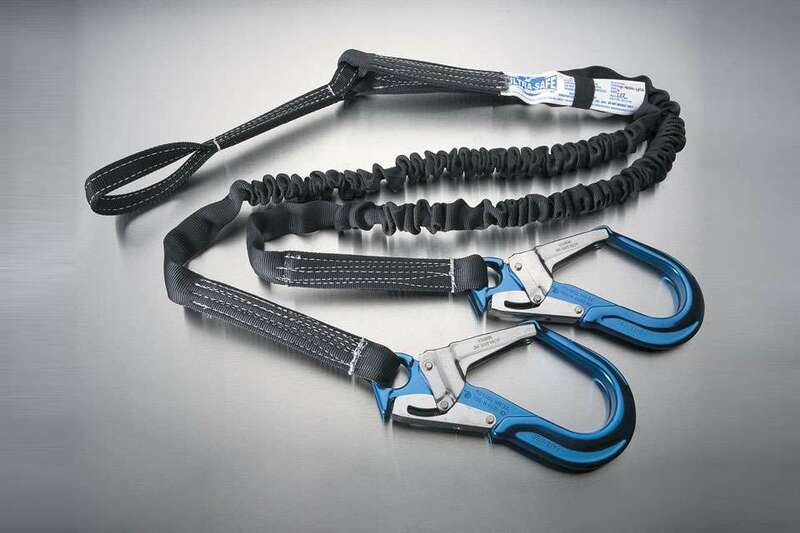 Double-locking snaps and shock-absorbing pack one end. 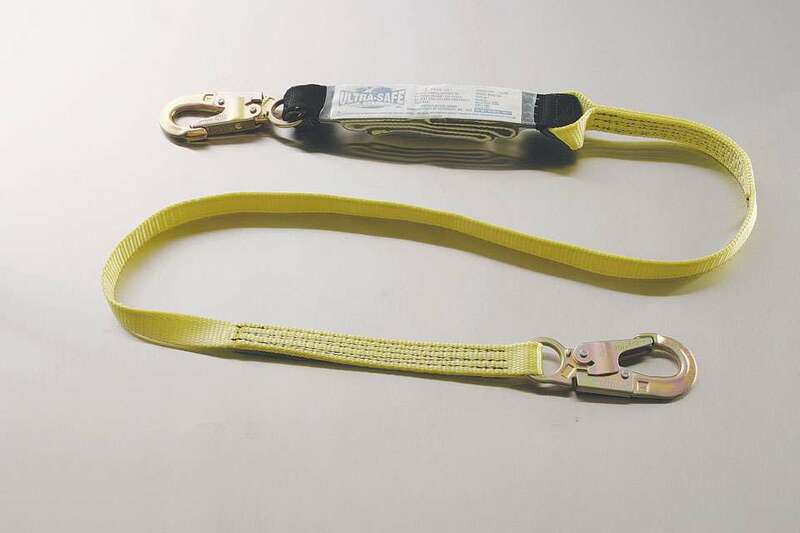 Cable lanyard, shock-absorbing Y-lanyard with large rebar hooks. 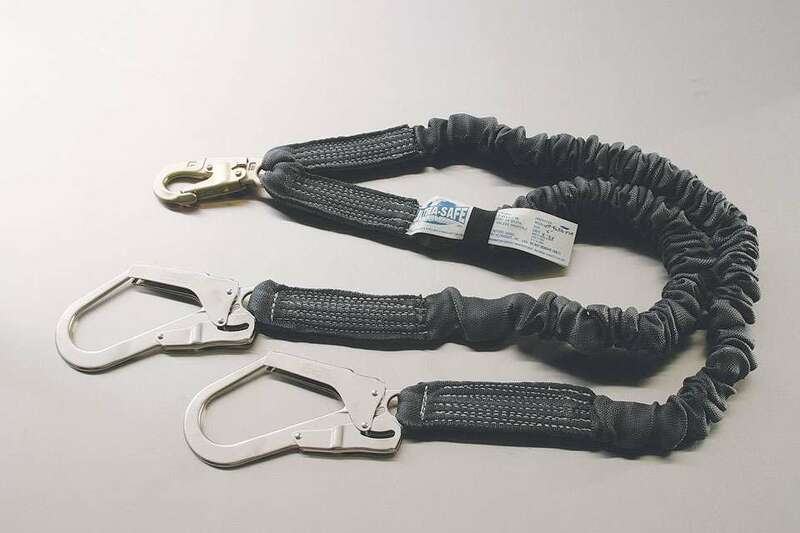 Nylon web lanyard with double locking snaps each end. 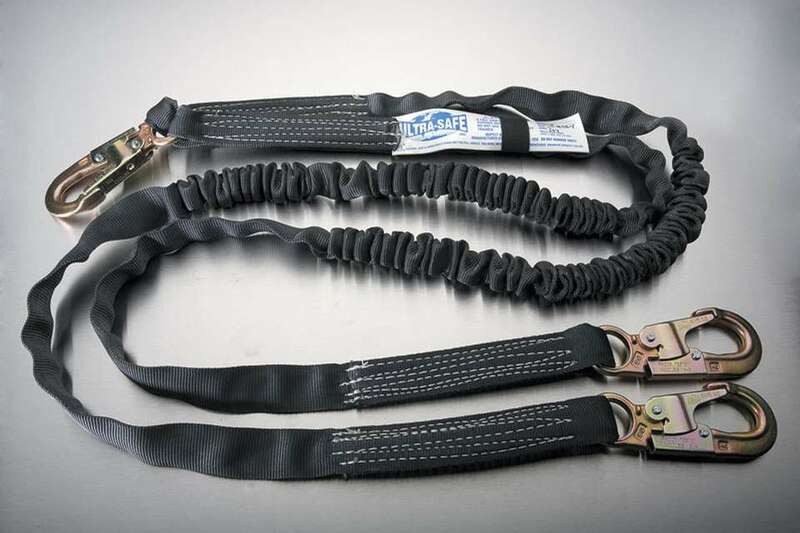 Nylon web lanyard with double-locking snap each end and shock absorbing pack one end. 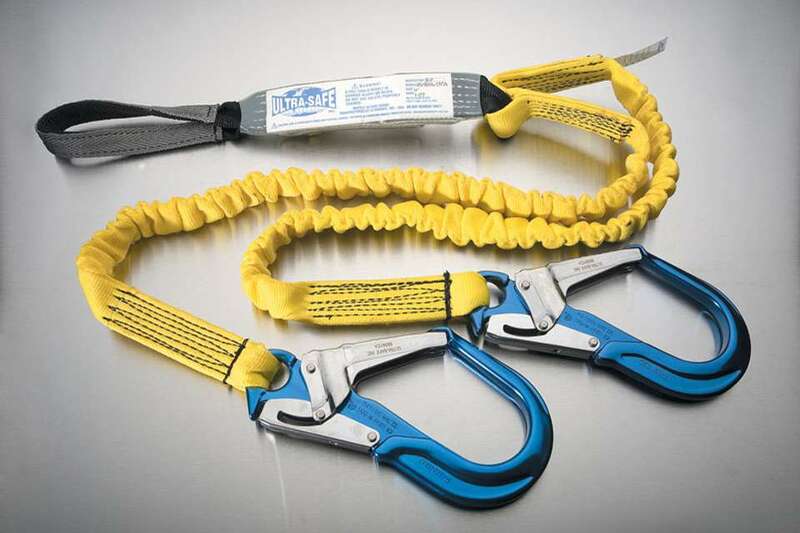 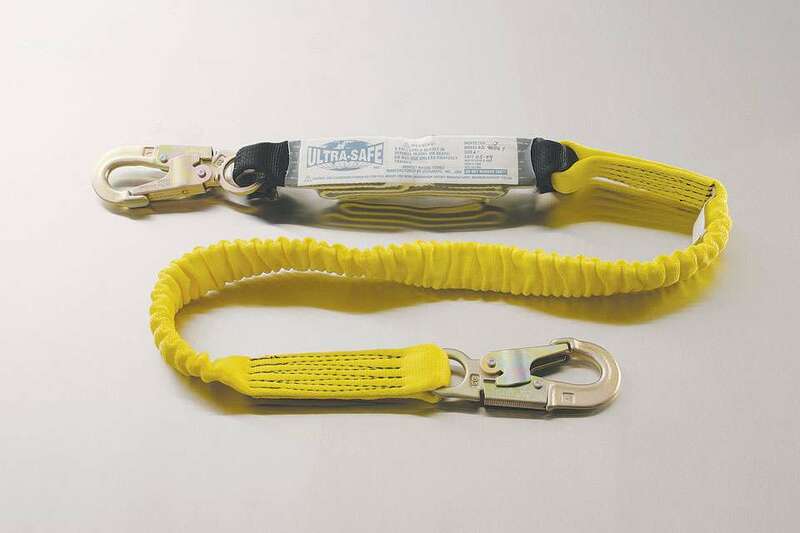 Shock-absorbing Y-lanyard with double-locking snaps and rebar hooks. 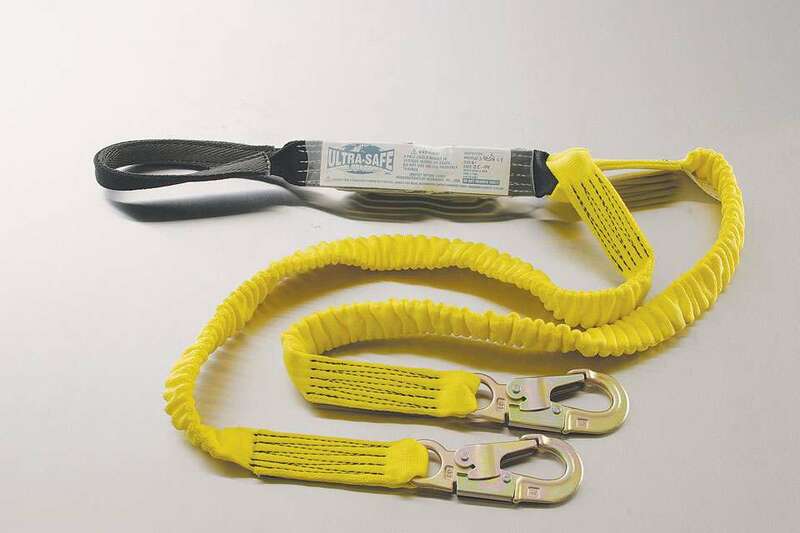 Ultra-Tube shock-absorbing Y-lanyard with large rebar hooks. 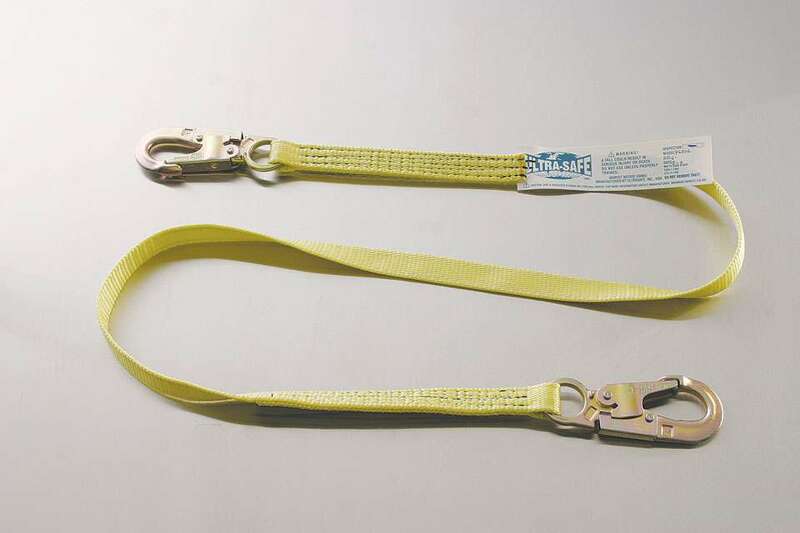 Ultra-Stretch shock-absorbing Y-lanyard with large rebar hooks. 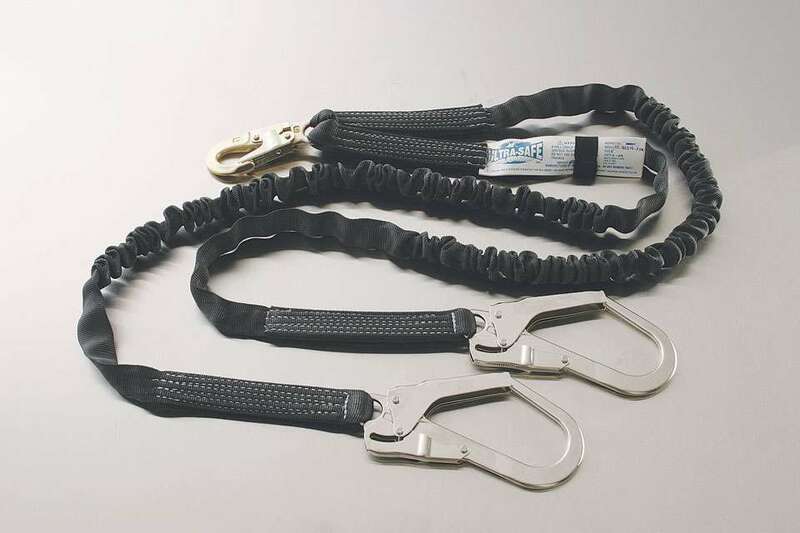 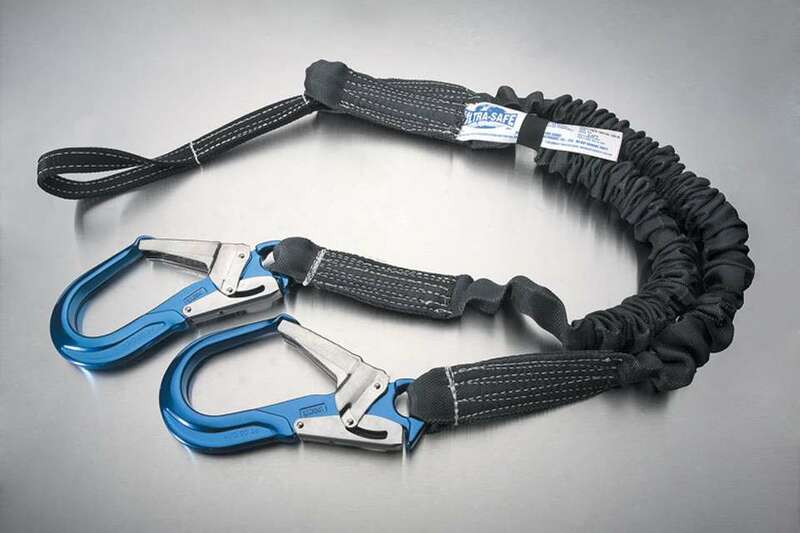 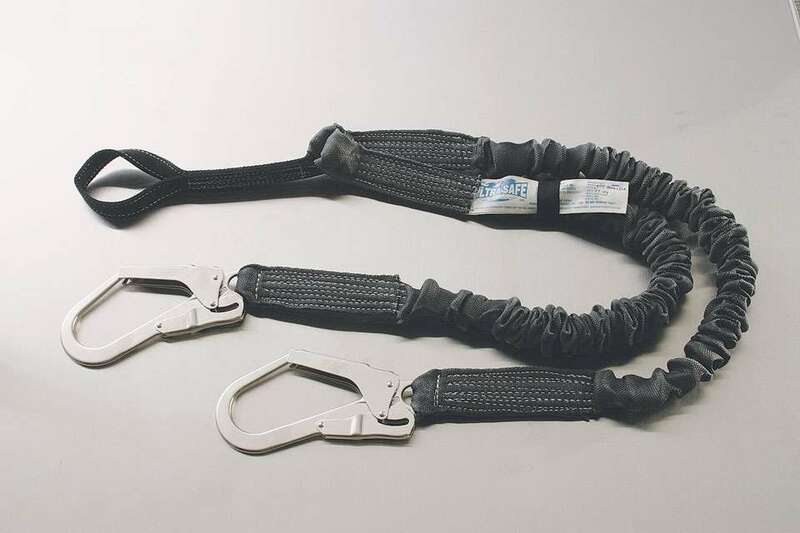 Ultra-Tube two shock-absorbing Y-lanyard with large rebar hooks. 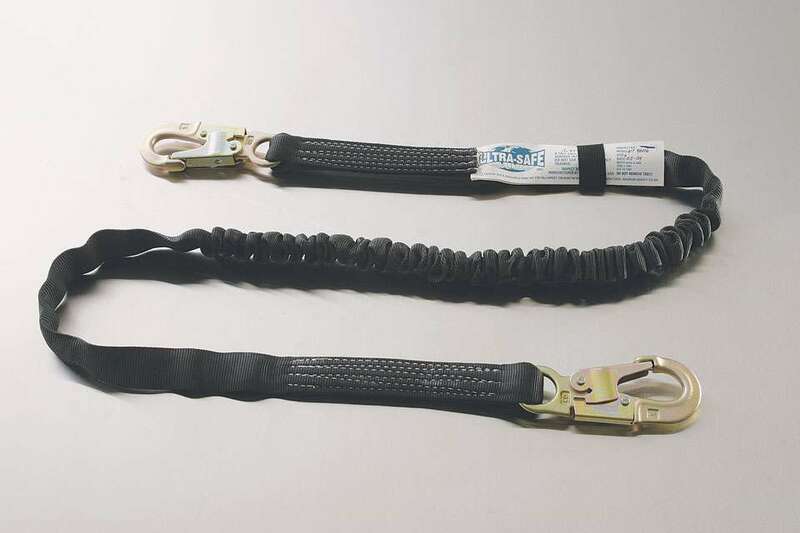 Ultra-Tube shock-absorbing Y-lanyard with loop. 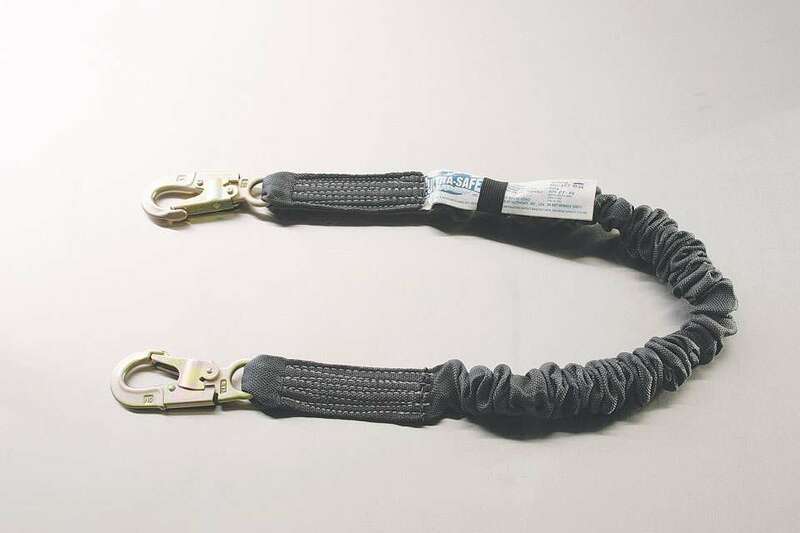 Ultra-Tube shock-absorbing Y-lanyard with loop one end and large rebar hooks other end. 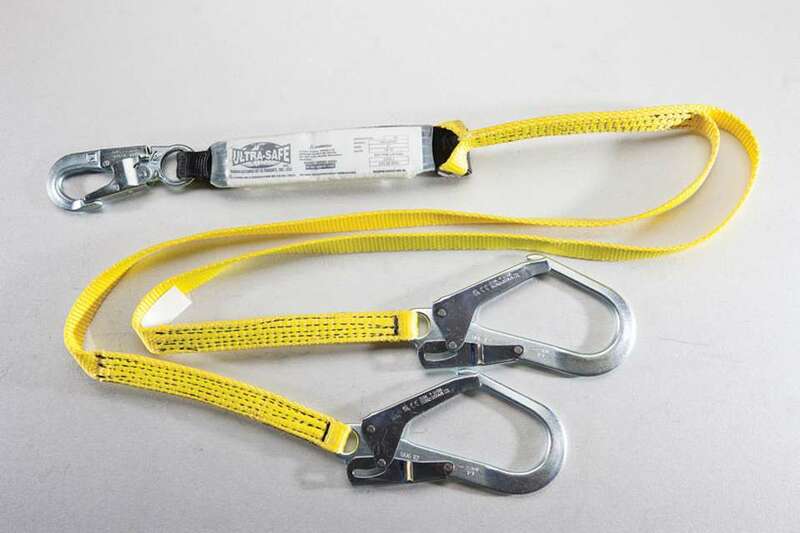 Ultra-Tube shock-absorbing Y-lanyard with loop one end and large 2 1/4” aluminum rebar hook other end. 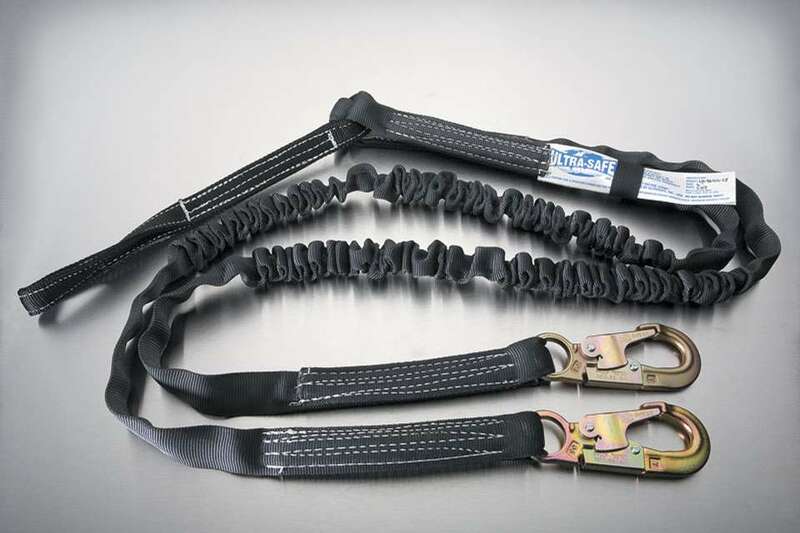 Ultra-Stretch shock-absorbing Y-lanyard with loop on shock pack. 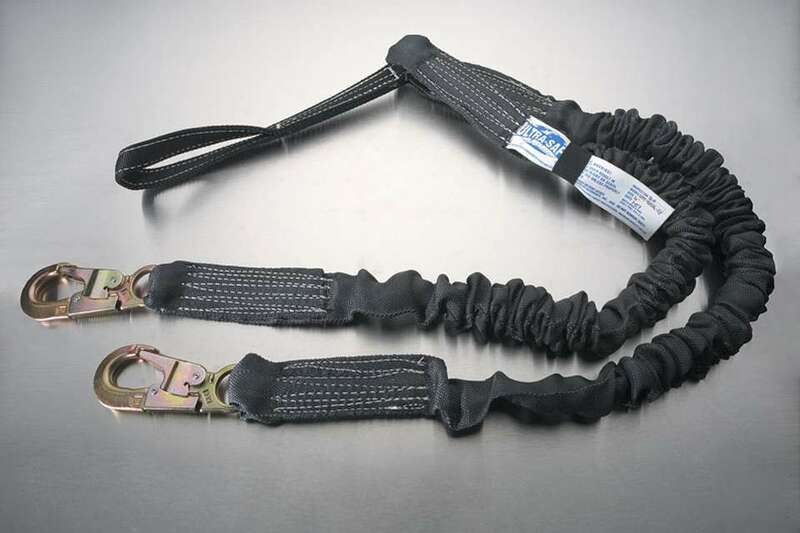 Ultra-Stretch shock-absorbing Y-lanyard with loop shock pack one end and large 2” rebar hooks other end. 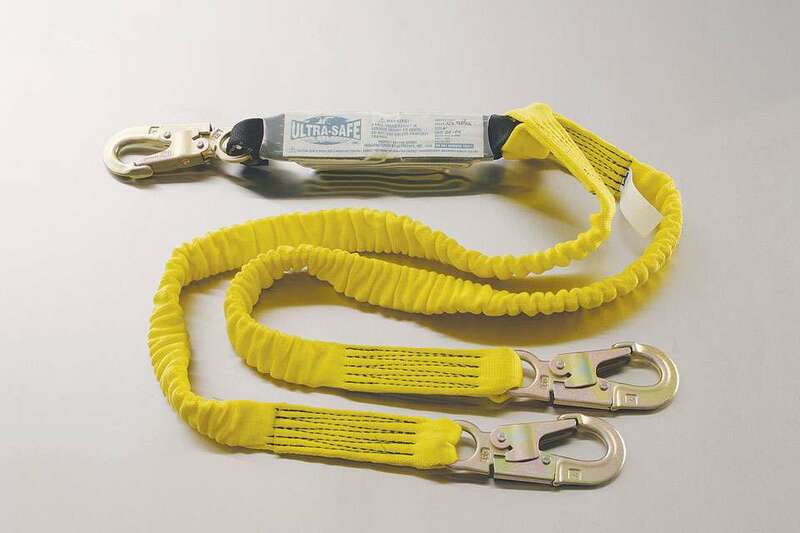 Ultra-Stretch shock-absorbing Y-lanyard with loop shock pack one end and large 2 1/4” aluminum rebar hooks other end. 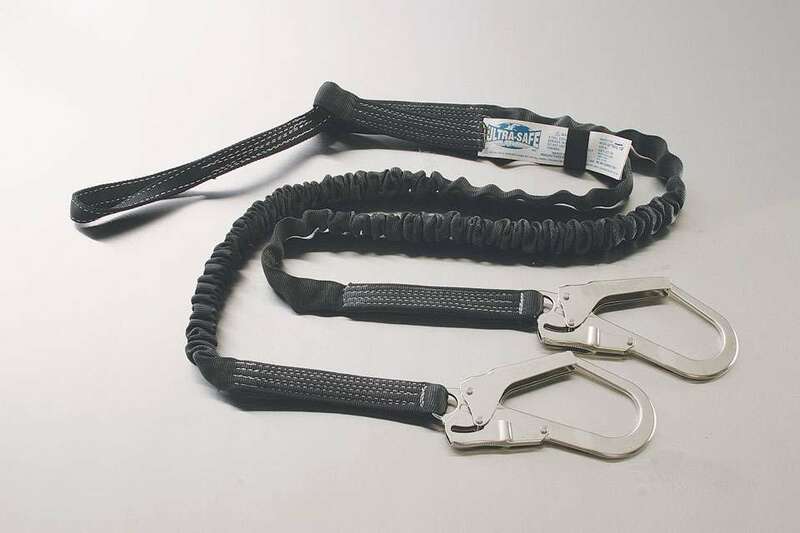 Ultra-Tube two shock-absorbing Y-lanyard with loop. 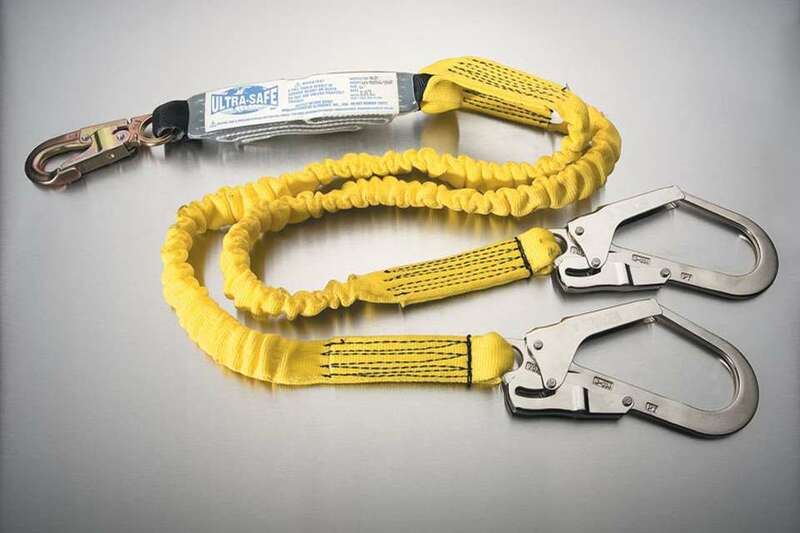 Ultra-Tube two shock-absorbing Y-lanyard with loop on shock pack one end and large 2 1/4” aluminum rebar hook other end.